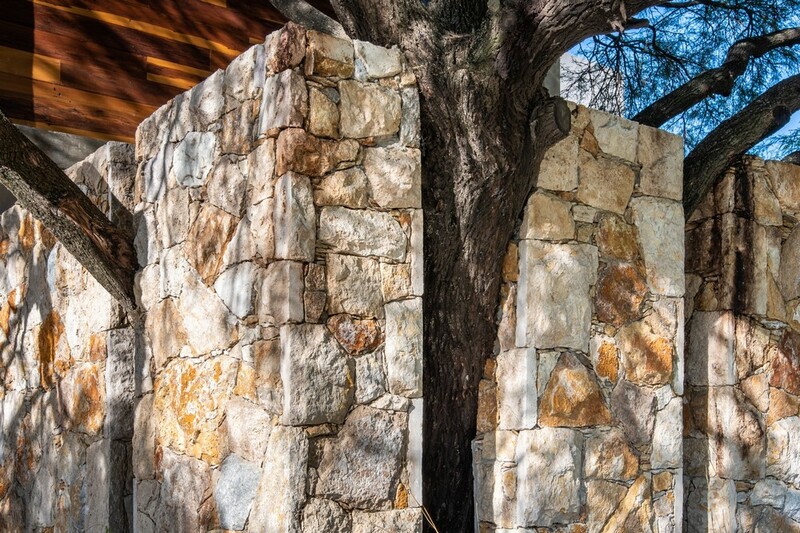 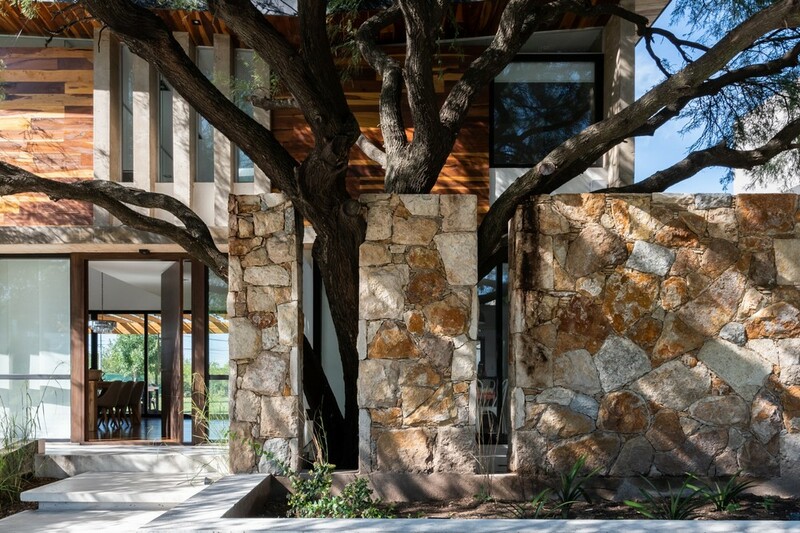 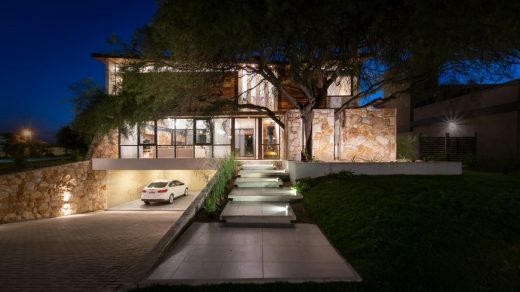 “Behind the Tree” was the starting point for a house that IASE ARCHITECTS thought should include how the first host to arrive at the house, but framed and protected as a protagonist not only for the visitor or who walked step, but inside and the day of the inhabitants. 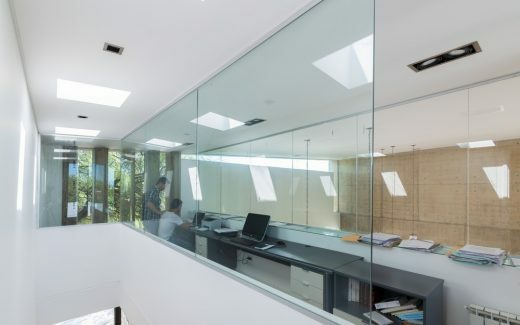 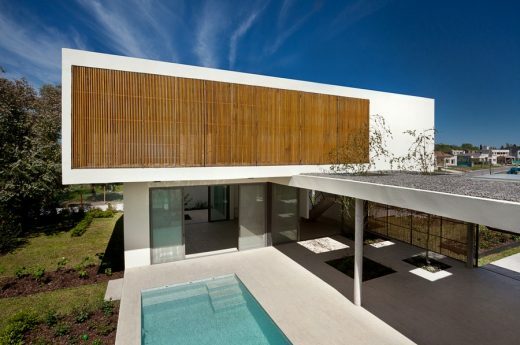 Each new project for the study, is the challenge of interpreting the needs and living requirements of the clients. 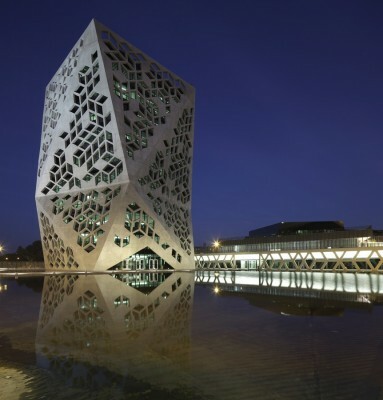 NAGUS, nickname that the architects chose for the young couple that hires them, aimed to combine social and private use developed on a single level, articulated both by the daily use of housing, and incorporate daily work activities in a secluded sector, within a space flexible that could be transformed according to each need. 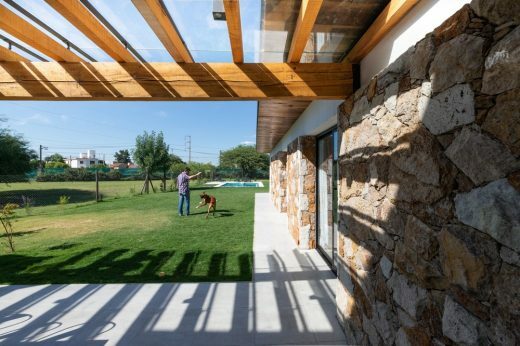 Thus in a lot of one thousand square meters, with a front bounded by its irregularity and regulatory withdrawals, IASE ARCHITECTS developed the program in 3 levels. A sub-level covered parking for 3 vehicles, with entrance ramp that also serves as a courtesy parking with the tree giving shade and protecting in a semi-covered way the space, deposit and future dig. 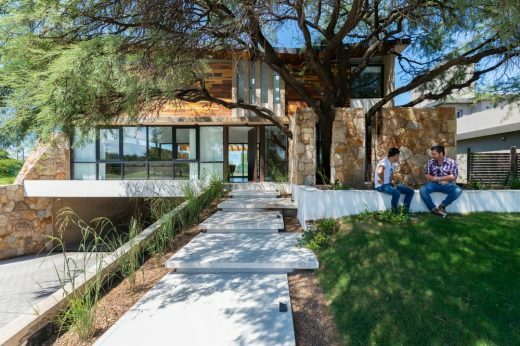 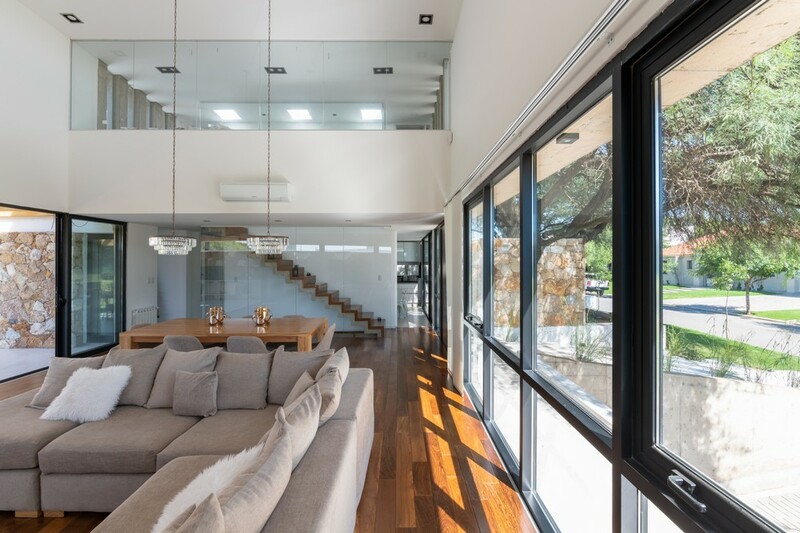 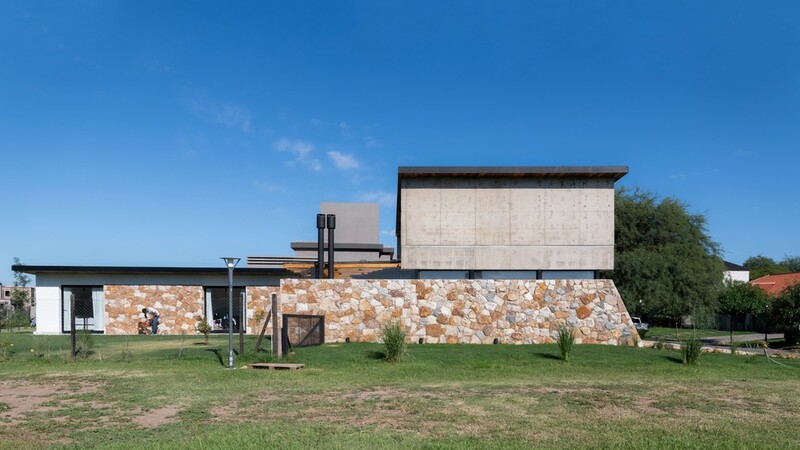 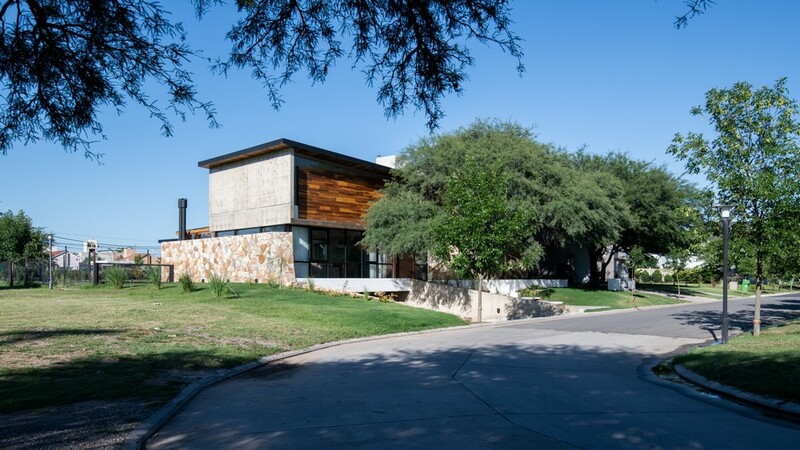 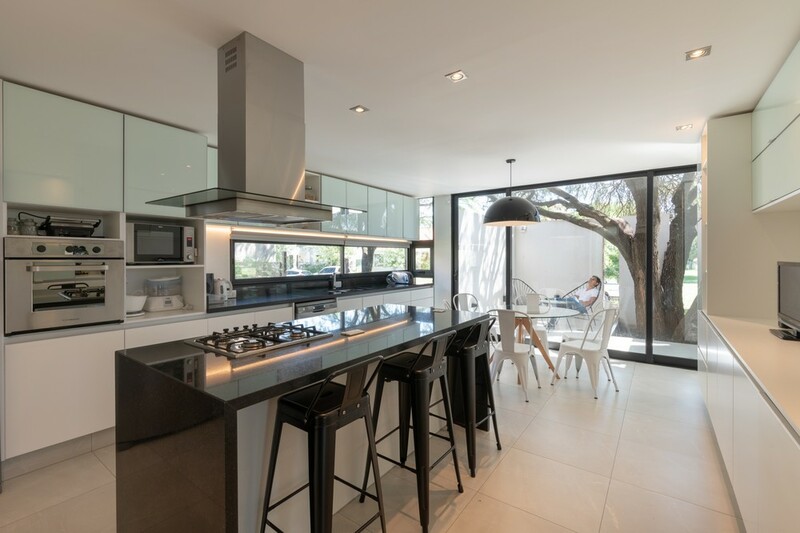 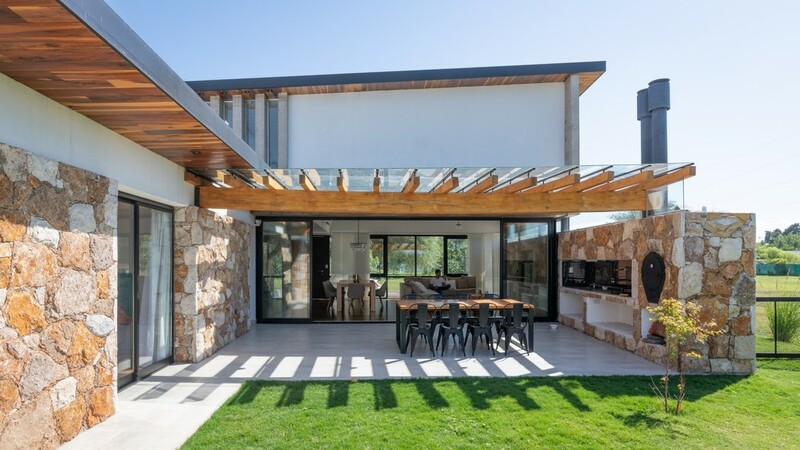 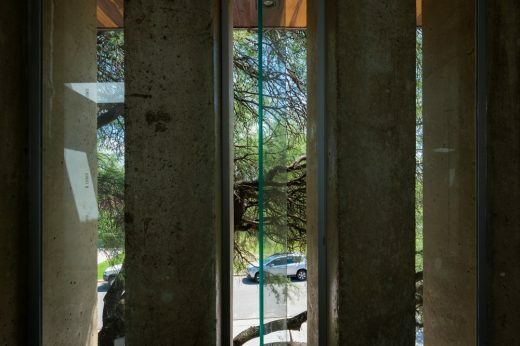 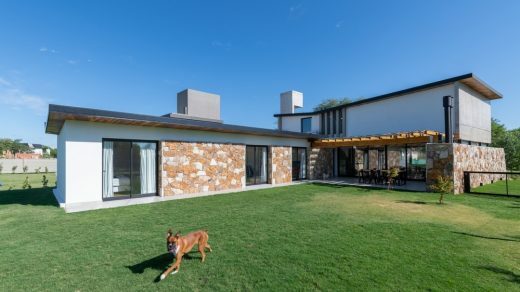 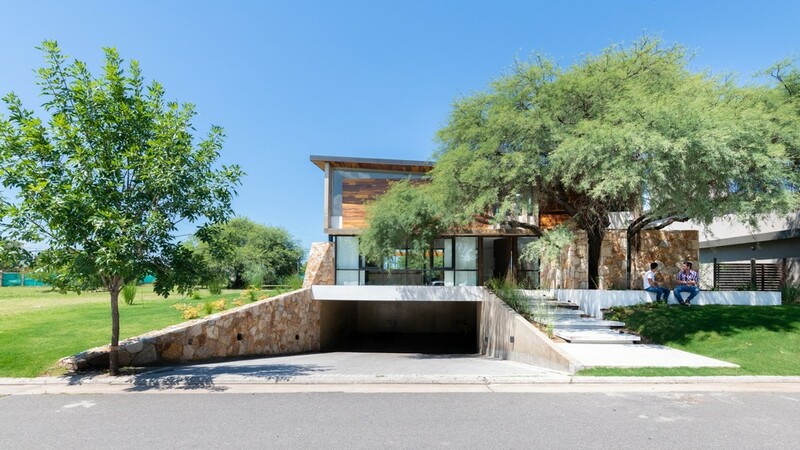 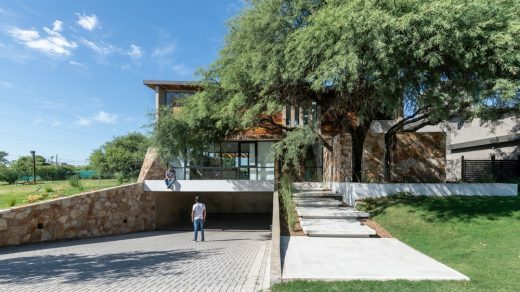 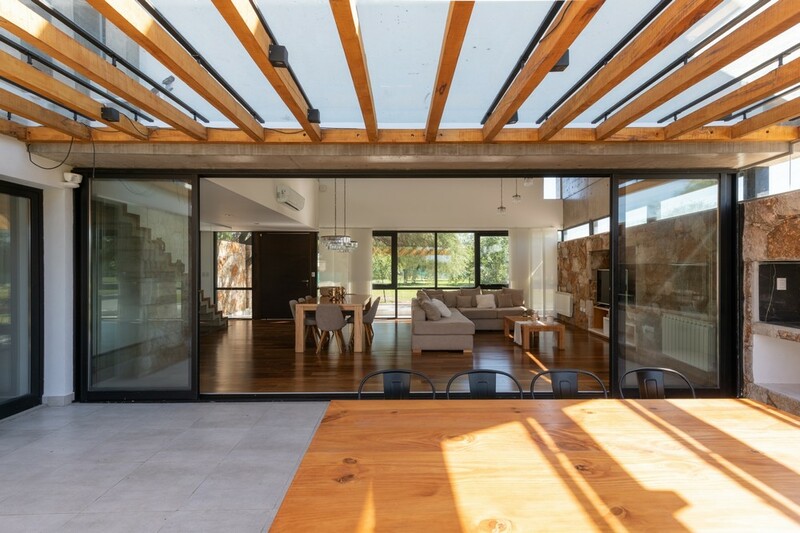 Ground floor level, with social and private areas integrated into the exterior green space and high floor level for a study office and multipurpose play room that in a secluded way, balcones the social space of the house and integrates to the outside with winnowing and zeniths on the roof. 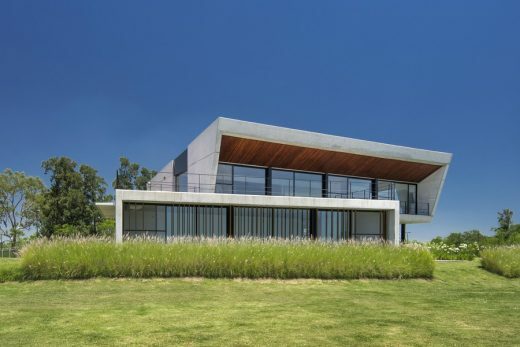 The functional plan is distributed by means of an area that contains the private sectors of the dwelling, with direct support of the services, strategically located towards the most unfavorable orientation that in a nucleated way achieve a line and proportioned internal circulation. 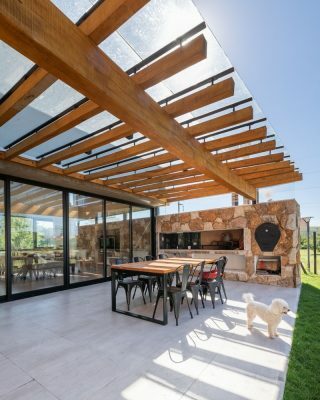 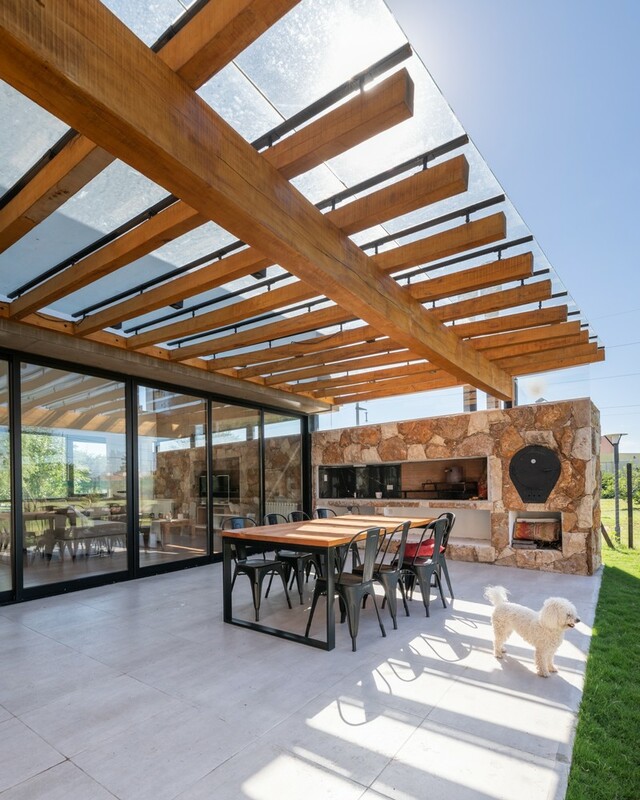 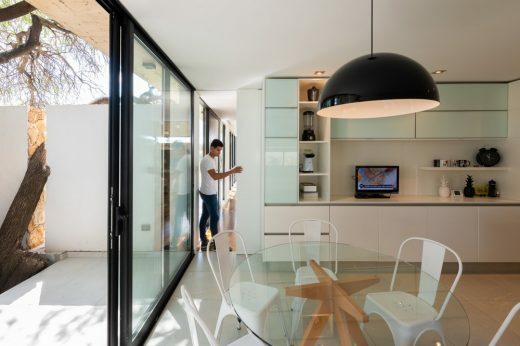 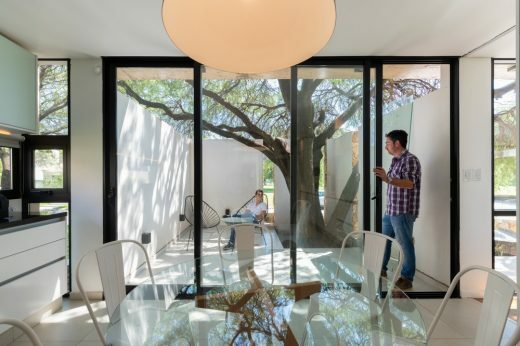 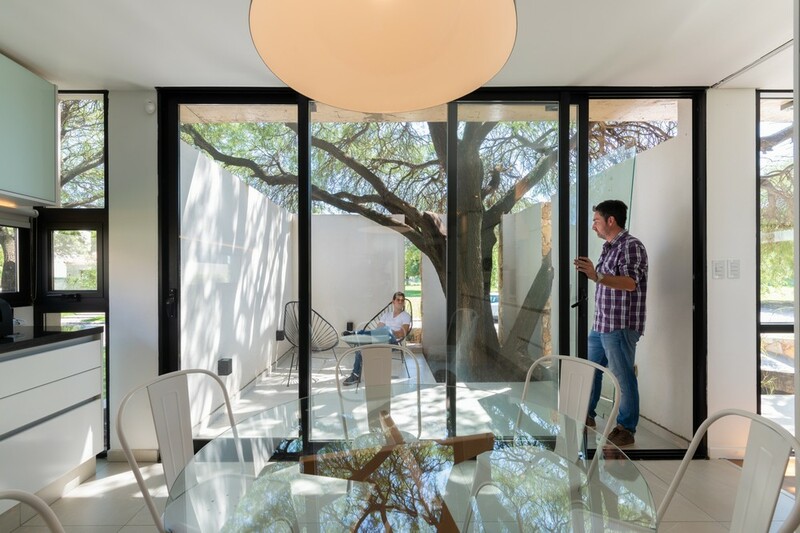 The space for daily use is integrated into a more intimate patio that houses the existing tree and is independent or not of the social sector with sliding panels that disappear behind a support furniture. The social is hierarchized in its perception by a double height in space but also in its dimensions when it expands when it is completely opened to the gallery. 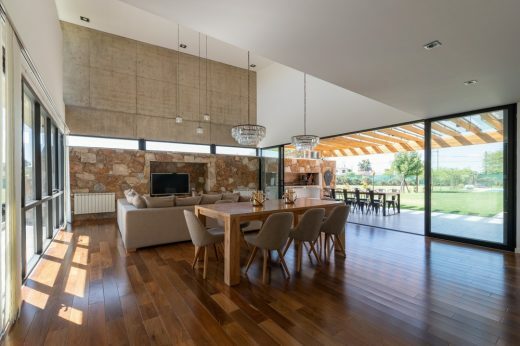 The formal study is originated by the articulation of pure volumes, emphasized by the breaks in the roofs and undermined for an adequate gain of natural light and cross ventilation. 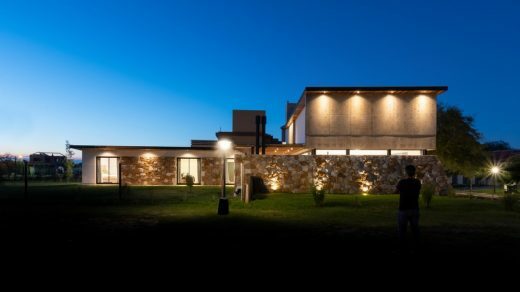 The image of a concept always associated with each site in particular, with the line of modernity as the fundamental axis of the study, we seek an architecture of warmth and rusticity that will merge with the existing vegetation with wood as a coating, solid materials at its base like the stone and concrete in sight and the steel giving lightness and simplicity in certain details.